Hopkins nurses Alice Henderson (class of 1907) and Grace Barclay (class of 1912) were among the first American nurses to sail to Europe in September 1914 on the American Red Cross’ Mercy Ship expedition. Henderson was the chief nurse for the 12 nurses in Unit B from Maryland, which was stationed in Pau, France at an evacuation hospital located in a converted resort hotel in the Pyrenees far from the front. 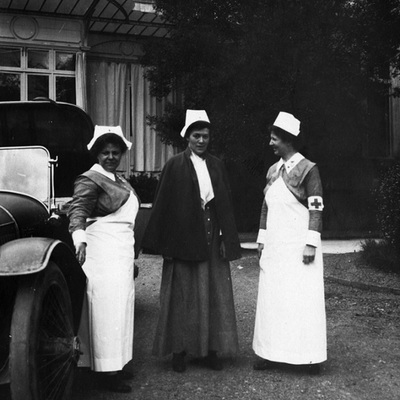 Vashti Bartlett (class of 1906), along with Agnes Clarke (class of 1910), arrived in Pau in March 1915 as part of the second Mercy Ship contingent. Bartlett relieved Henderson as the chief nurse. 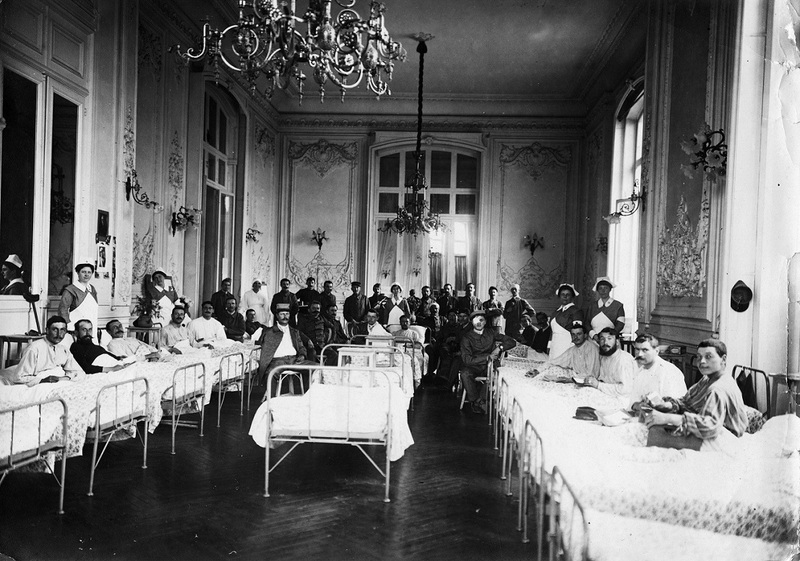 Soldiers were brought to Pau from the trenches by train and included French, Belgian, Algerian, Moroccan and German patients. The American Red Cross closed its Mercy Ship units in October 1915 due to lack of funding. 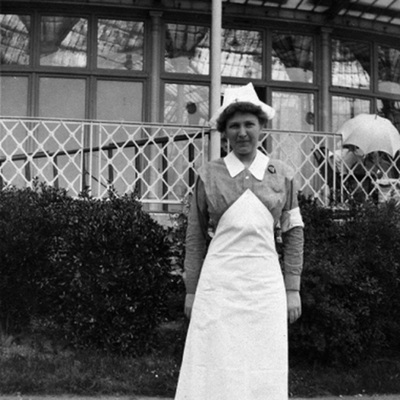 In October 1915, Vashti Bartlett and the other nurses at Pau relocated to La Panne, on the Belgian coast, where Bartlett served as supervisor of the twenty-four nurses in two units. L’Hopital de l’Ocean was located on a narrow strip of beach between the English Channel and the Belgian trenches and was subjected to German bombs. Bartlett led the units until January 1916, and the Red Cross recalled the Belgian units in May 1916. For more on the Mercy Ship expeditions, visit the Johns Hopkins Hospital and School of Medicine portion of the exhibit.